I haven't tried Numi Tea but they're local based out of Oakland over near the Embarcadero. Teance is local too out of Berkeley. Starbucks serves Tazo and their tea is ok.
Puerh and Republic of Teas are what I regularly drink. Tea is supposed to be good for you, does stain your teeth worse than coffee though. I haven't figured out what to drink when, e.g. if you're sick drink such and such tea, though puerh and red ginseng do give me an energy boost and calms me down, and gingseng peppermint is my stress reducer. Coffee in the morning and tea in the afternoon and evening. Supposedly eating local honey (a teaspoon a day for 2 – 3 months before allergy season), can help you from having bad allergies. 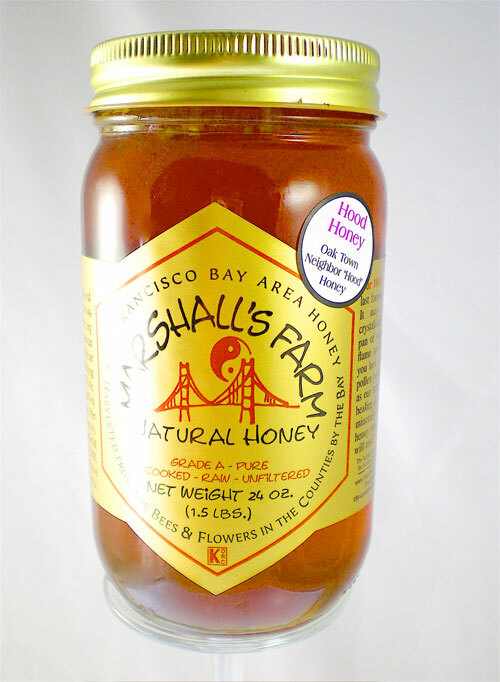 For those in the Bay Area, Marshall Farms has honey from different areas of the Bay. The theory is that the honey has pollen from the area and you get to ingest some of that and so your body is used to the pollen. I think I'm trying it a little later this year for it to work (still trying it though) and definitely will do it next year. My allergy cocktail of claritin, nasonex, similisan, and a couple other things aren't helping. * Even the beekeepers are making fun of the crime in Oakland. Ridiculous. Hood Honey is really good though. ** Random extras. I still need to try Tupelo honey; and, Strauss Family Creamery, where we get our milk, makes really good vanilla and chocolate ice cream. It's cheaper than Ben & Jerry's by a bunch. Worth seeking out, tastes homemade.